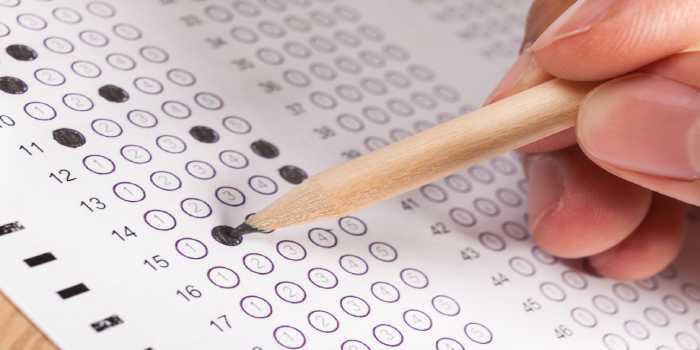 UPTET Answer Key 2019 - Uttar Pradesh Basic Education Board (UPBEB) will release the answer key of UPTET after the exam gets over. UPTET answer key 2019 will be released for both the papers and alll sets in the form of pdf. Candidates can download the official as well as unofficial UPTET answer key by clicking on the link provided below. UPTET answer key 2019 will contain all the correct answers to the questions asked in the exam. With the help of UPTET answer key 2019, candidates will be able to calculate their probable scores based on the number of correct and incorrect answers. Initially, the exam conducting body will release the provisional UPTET answer key 2019. Candidates will be provided with the facility to raise objections in case they find any discrepancy. The final answer key of UPTET 2019 will be released after evaluating the objections submitted by the candidates. On the basis of final answer key, UPTET result will be declared. How to download UPTET Answer Key 2019? The link will redirect to the answer key window. Select the set for which the test has been taken. UPTET answer key 2019 will appear on the screen in PDF file. What to do in case of any discrepancy in the UPTET answer key 2019? In case candidates find discrepancies in the UPTET answer key, then they can raise objections. In order to raise objections, candidates can drop an email mentioning details such as the exam name, level of the exam, question booklet series, question number, and explanation for the objection at [email protected] till the prescribed day. After evaluating the objections submitted by the candidates, the exam conducting body will release the final answer key of UPTET 2019. UPBEB decision on the challenges shall be final and the result will be declared on the basis of final answer key. 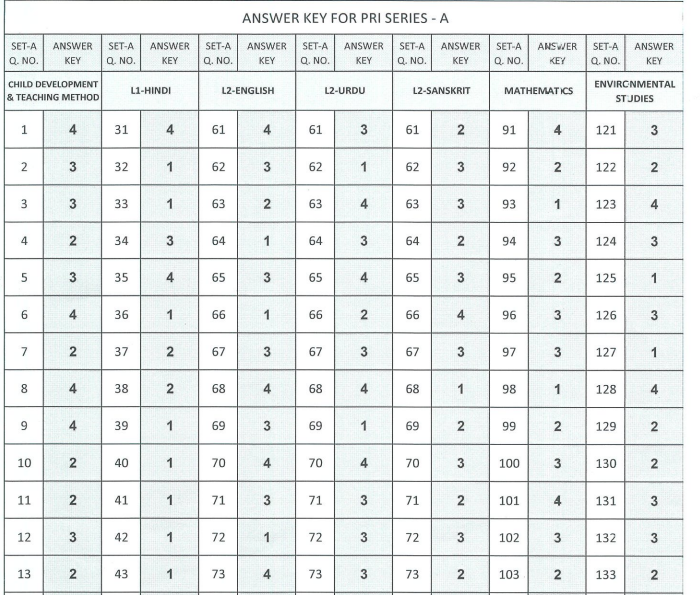 Candidates can check below last years’ UPTET answer key from the table given below. In order to calculate the scores, candidates will have to go through the exam pattern to know the marking scheme. As per the marking scheme of UPTET, the exam is conducted for 150 questions for 1 mark each and there will be no negative marking. Candidates can check the steps given below to calculate their expected score. Now, calculate the total marks secured for correct answer and candidates will know their probable score. Question: When will the UPTET Answer Key 2019 be released? Answer: UPTET 2019 answer key (provisional) is expected to be released in the second week of November. Question: How can I download UPTET Answer Key? Question: What will be the mode of UPTET 2019 exam? Answer: UPTET 2019 is likely to be conducted in offline mode for all the eligible candidates. Question: When will UPTET be conducted? Answer: UPTET is expected to be conducted in the second week of November 2019.